Malta is one of Europe's most popular beach destinations and I'd heard it hundreds of times before visiting the island. My expectations were high and, unfortunately, they weren't met when I finally had a chance to see it for myself. Malta has a beautiful coastline and the amazing Blue Lagoon, but to be honest, the rest of the beaches were far from spectacular comparing with, e.g. the Balkans. I might have gotten this impression because right before Malta I had just returned from the paradise, unspoiled Albanian Riviera. 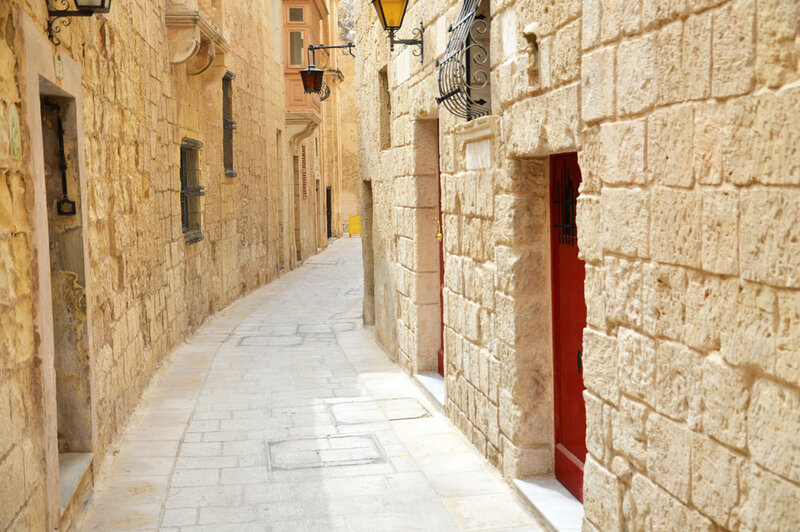 Nevertheless, Malta's towns are unique, built with impressive, golden stone. The island also boasts some ancient megalithic structures, so if you like archaeology, you'll also find something interesting for you. What to See in Gozo, Malta after the Azure Window Collapsed - Don't Worry, There's Another One! Gozo, the smaller island of Malta is full of beautiful natural attractions and most visitors who get there probably wish to see the famous Azure Window - natural arch stretching from the cliff into the sea. Unfortunately, Gozo's most popular natural wonder collapsed last week! So you might be wondering if it's still worth it to visit it. The answer is yes - here in this post, I will show you the other attractions of Gozo, and will probably surprise you when I say that Gozo has another "arch window" which is even more beautiful than the unlucky Azure Window that was swept away by the storm. For some reason, I haven't noticed any info about the other arch in the media so far - and I love to show you what the media don't - so I'm filling this gap! Blue Lagoon, located on Malta's smallest inhabited island - Comino, with its clear turquoise shallow waters, golden rocks and dramatic coastline is without a doubt one of the most popular spots to visit. The bright sea illuminated by warm sun rays around Comino contrasts beautifully with the arid land. The only sandy beach sandwiched between the cliffs is beautiful but really tiny, so to enjoy the Blue Lagoon in the best way possible, get there really early or... avoid the beach itself! Take a long walk along the breathtaking coast, or hike to one of the other beaches - San Niklaw Bay or Santa Marija Bay which are really idyllic and quiet. Read on and I'll give you some tips on what this tiny piece of paradise has to offer.